• Public transportation is affordable to all older people. • Consistent and well-displayed transportation rates are charged. • Public transport is available for older people to reach key destinations such as hospitals, public parks, shopping centres, banks. • All areas are well-serviced with adequate, well-connected transport routes. • Transport routes are well-connected between the various transport options. • Vehicles are accessible, with floors that lower, low steps, and wide and high seats. • Vehicles are clean and well-maintained. • Vehicles have clear signage indicating the vehicle number and destination. • Sufficient specialised transport services are available for people with disabilities. • Priority seating for older people is provided, and is respected by other passengers. • Drivers are courteous, obey traffic rules, stop at designated transport stops, wait for passengers to be seated before driving off, and park alongside the curb so that it is easier for older people to step off the vehicle. • Public transport is safe from crime and is not overcrowded. • Stations are accessible, with ramps, escalators, elevators, appropriate platforms, public toilets, and legible and well-placed signage. 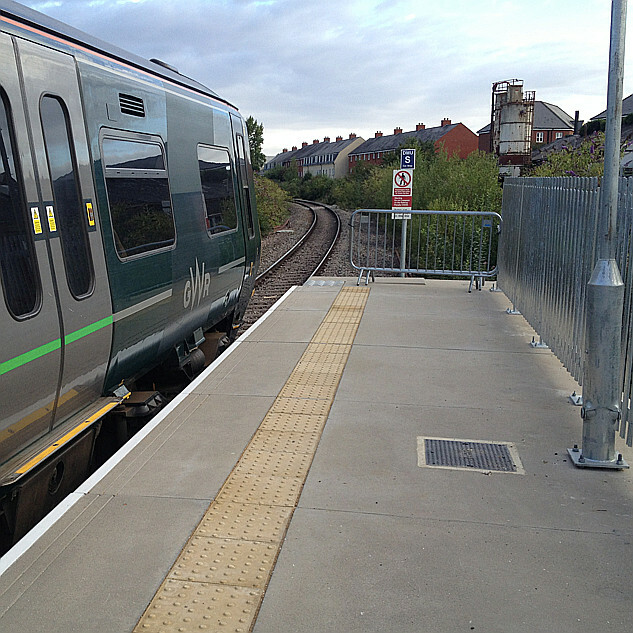 • Transport stops and stations are easy to access and are located conveniently. • Information is provided to older people on how to use public transport and about the range of transport options available. • Timetables are legible and easy to access. • Timetables clearly indicate the routes of buses accessible to disabled people. • Community transport services, including volunteer drivers & shuttle services, are available to take older people to specific places. • Taxis are affordable, with discounts or subsidised taxi fares provided for older people with low incomes. • Taxi drivers are courteous and helpful. • Roads are well-maintained, wide and well-lit, have appropriately designed and placed traffic calming devices, have traffic signals and have consistent, clearly visible & well-placed signage. • The traffic flow is well-regulated. • Roads are free of obstructions that might block a driver’s vision. • The rules of the road are strictly enforced and drivers are educated to follow the rules. • Refresher driving courses are provided & promoted. • Affordable parking is available. • Priority parking bays are provided for older people close to buildings and transport stops. • Priority parking bays for disabled people are provided close to buildings and transport stops, the use of which are monitored. • Drop-off and pick-up bays close to buildings and transport stops are provided for handicapped and older people. I have noted prior to the meeting six areas where - even in our developed country and relatively well off area - we fail to meet the checklist, and a couple of other things that should be on the checklist but aren't !! Can I add another to a long list. As most people tend to travel from A-B-C, rather than just A-B, suitable connections and ideally suitable waiting facilities. One of my thoughts was to add available when needed to taxis and and another was to add current running information to all the stuff about timetables. Thought triggered by work attempted some years ago to look at active and sustainable travel to hospital in Oxfordshire. Journeys were often "multi-modal" i.e. walk, bus, train, bus to John Radcliffe Hospital in Oxford. Trying to capture and analyse these was the problem. But I am sure that it is similar in Wiltshire. You catch the bus, if it is on time, hopefully to connect to a train service. Normally the bus at the "city" station is less of a problem, but overall there is plenty of potential to end up missing an appointment (not only hospital), so people tend to build in large contingencies and add to the profit of coffee shops! So 'age-friendly' is about an "older people" bias? It is also necessary to ensure that catchment areas for services are matched to public service routes (or vice versa). My father was a district judge and at one point he was sitting in Barnstaple and the catchment area for the court included Bude. The 'direct' public transport was via Exeter. This applies to all ages and not just older people. Sadly, for the meeting I was at yesterday it has come to represent that. "Held during the day so the old people can make it" ... to the exclusion of those with work or educational commitments. Irony is that only a handful of old people extra to the evening meetings actually showed up ... and they were there because of the agenda which had been planned and re-ordered with them in mind. Some good contacts made, however ... and some further useful thoughts / considerations.